My name is Nama Budhathoki. I'm the founder and Executive Director at Kathmandu Living Labs. Kathmandu Living Labs works in open mapping, open data, and crowdsource mapping. Can you describe for us what it was like to be in the earthquake? When the earthquake hit Nepal on the 25th April, 2015, I was inside my house. As soon as we were hit by the first shock, I could manage to escape with my little son, but other members of my family; my mother, my wife, they were still inside the building. But they couldn't come out of the building because the building was shaking so wild. We could see them trying to come out of the building. We can't go there and help them because you can't walk, the shake is so strong. And then after the first shock, they came out and we ran away from the building. We went to a little open space near our house. It was very scary. I even don't want to remember that day. It's very chaotic, confusing, scary. It was lasting and coming so frequently. You know, one other thing is we didn't know that after the major earthquake shock, there were aftershocks. That's natural. But a lot of people didn't know that. Even me. I knew you will get other shocks, that's one thing, but when you experience this, you don't know. It could be even bigger than the last one. And then we thought this thing is, I think it's not going to leave us. It's going to kill us. People knew that the earthquake was coming in Nepal. But they didn't know when it was coming. People did not always prepare at the level they should be prepared. So I think for many people it was not a complete surprise, but the level of cooperation they had was probably not near what it had to be. When there was talk about a possible earthquake in Nepal there was actually quite a good discussion going on. But for other people, of course, they just care about their routine life. They didn't have time or information about this complex natural phenomenon. Did your own experience in the earthquake influence your sense of purpose for doing OpenStreetMap and getting people involved in OpenStreetMap? The earthquake reinforced what I was doing before the earthquake. We were already mapping major cities in Nepal because we knew the earthquake was coming one day and OpenStreetMap is crucially important when that happens. But then after the earthquake, in a way it was an opportunity to put that information to work. To see whether people will use it, whether people will find value in what I was doing. And then it's confirmed. Because a wide range of organizations and groups used OpenStreetMap after the earthquake. It was the feeling that something you are doing is useful to other people and can help to save people's lives and reduce their suffering. It's very satisfying. When I saw the use of OpenStreetMap after the earthquake in Nepal, that has encouraged us to expand mapping in other parts of the country. Because we're waiting for other disasters. So that feeling of urgency that we have to cover the entire country as soon as possible is what we learned from this earthquake. We also need to improve mapping with more information. We can't wait for another disaster and begin mapping afterwards. What is OpenStreetMap in a nutshell? And what is Kathmandu Living Labs? OpenStreetMap is an open mapping platform that allows people to map whatever they're interested in mapping. People call it a “crowdsourced mapping platform.” Data becomes immediately available to other people and the map is free. You can download data, you can use data, and you can create all sorts of cool things with the data you have on OpenStreetMap. My favorite thing in mapping is when I see young people that never mapped before, never produced a map before. When I see their face, I can see they're happy because for the first time in their life, they think, "I'm a mapper." Students responded to the Gorka earthquake by mapping buildings and infrastructure. 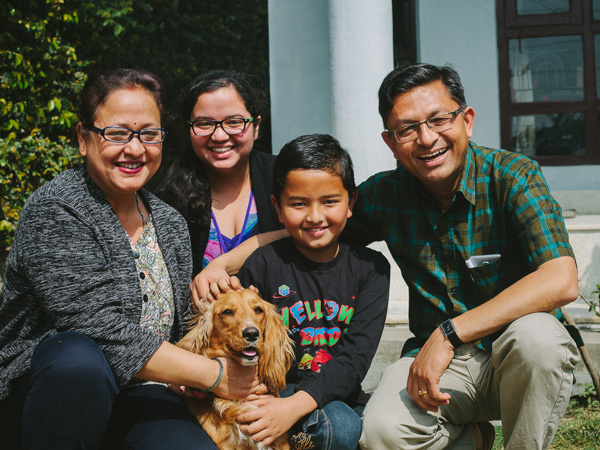 Kathmandu Living Labs is a nonprofit tech company. Our tendency is to connect technologies to some of the pressing problems in society. 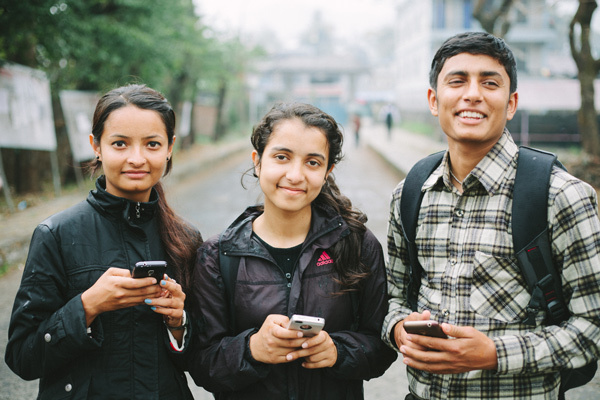 The question we keep on asking OpenStreetMap with Kathmandu Living Labs is how can you connect technology to the lives of the people and solve difficult problems? We oversee Nepal; it's very nicely mapped on OpenStreetMap because we don’t have other sources of map data in Nepal. The Department of Survey and a few other government agents produce maps, but they are often outdated and you can't get information that you need. When government maps, government maps for government! To govern. That's what mapping is. When YOU map, what you map is driven by your goals. If your goal is to govern, you map things that help you to govern. That means the citizen's needs, in terms of maps, is not often met through these maps. And KLL wants to fill that void. Why are maps such an attractive thing in human society? Humans are visual. They like to see things. They can comprehend things easily when they can see, and that's what a map is. Maps show you things. It's easy to interact, to understand. A map is also an identity. For example, go to a map and you can see your local town, your home, your school. What if that doesn't exist on the map? There is a connection between the map and representation of these people and places and the identity. I have heard about this a number of times when I did mapping parties in Nepal. A student was telling me that when he went to a map during the mapathon and he couldn't see his little village, he was not happy. The villages of his friends were already on the map.. He didn't exist. His town, he didn’t exist on the map. I think this map is much more than that. It's representation of people, of culture, place, human individuals, you know? It's very important. It must be very empowering for someone to learn there is a way to personally put their town onto a map and create something other people would use. What do you think? A lot of people in mapping, open mapping, talk about map in the product. That is important, but at the same time, the process. Putting something on the map is also as important as the map itself. Many individuals, young people, they realize for the first time in their life that, “Hey, I do have knowledge about my community. I know where that particular school I went is. It's missing in the map at the moment, but I can add it. That feeling of, "I can do it, I can make it, I can create" is fascinating for me. So you’re suddenly activating these passive cities and the passive youth. This mapping is helping them to realize that they can produce things. A passive youth, a passive citizen, can become an active citizen. And then he will not just be active in mapping, you activated that person and that can be used for other things in society. When a disaster happens people don't have to just wait around to be rescued, they can actually get involved, right? That's exactly what happened in the Nepal earthquake last year when we needed maps. First responders needed maps. Relief workers needed maps. We had already maps of the cities, but many of the earthquake-hit districts were without a map. We got international rescue operators who were unaware of Nepal's geography. They didn't know where to go, how to go, whether there is a road. At that point, a lot of people contributed to OpenStreetMap. Some of them were from within the country and many others from international mapping community. They were not just mapping they were trying to save lives of people, relieve the sufferings of the people. So we saw that firsthand in Nepal. People did that. How many people helped with maps during the Nepal earthquake? 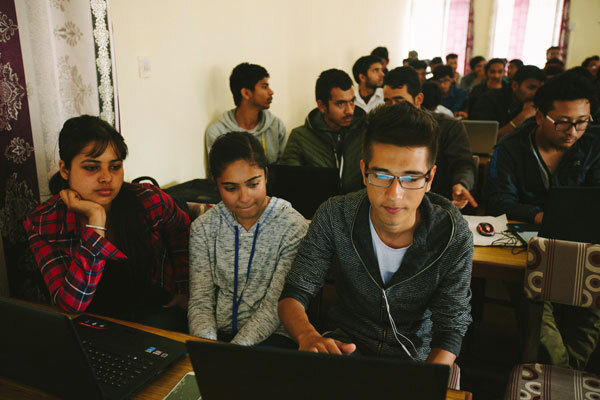 After the Nepal earthquake, nearly 9,000 people from all over the world contributed to mapping. And that number is for the first time in a major disaster in the history of the world. Partly because more and more people are joining and that's just natural. Every next disaster, you'll have more people. But at the same time a lot of people are amazed; how can that happen? We got more than 2,000 people just within the first couple of days. How do mappers like yourself see the world? Once I started mapping, I feel conscious about geography. When I walk I begin to think: how can we represent this object that is here on a map? Certain objects, certain phenomenon are difficult, they're complicated. How can you communicate this thing through map to other people? I have seen over the last few years that humans are different. I've met people who are interested to map all big trees in Kathmandu. Some people are interested to map just houses, or big shopping complexes. People are different. They see the world differently. How they see is connected to their profession, their background, their passion, their interest. That is why I like OpenStreetMap because it allows people to map many kinds of objects. It's open. You’re interested in Buddhist stupas? You map that. You interested in tiny restaurants, put that on the map. Through mapping people discover things. They see things they didn't see before. Do you feel like OpenStreetMap has been really helpful in dealing with the earthquake and other disasters? OpenStreetMap has been very useful in disasters. We have seen that over and over. We saw that in 2010 with Haiti, and in 2013 in the Philippines. In Nepal, the map was used by many different organizations including government organizations, union system, voluntary groups, youth groups, medical doctors, for example. You know when people are trying to land helicopters to deliver relief materials, they were asking us, “Hey, can I land helicopter there?” Put it on the map. We saw that OpenStreetMap was very useful, it was almost like a default map in the Nepal earthquake. Before and after images show the impact of OpenStreetMap contributions in Haiti and the Philippines. How has the mapping in places like Haiti and the Philippines helped develop and improve the process for the mapping that happened in Nepal? In OpenStreetMap we learn from every disaster. I think that using OpenStreetMap in 2010 in Haiti was the first to measure this. In every disaster, we get activated, we produce maps. We learn from these disasters, what went good, where are the things that we could improve? So it's a learning process, it's not just map, it's also use of the map. Coordination among different organizations around mapping, the use of the map, that process starts evolving. And so I think we're making pretty good progress and we continue to do that. Do you think of OpenStreetMap as a living map? Well yes, absolutely, the information is constantly changing and it's getting better. That "changing thing" scares some people. I believe that changing things is a good thing. It makes it possible for you to make things better. Whatever you change. It's visible to other people. So if there is some mistake, other people can correct that and make it better. That aspect is crucial in OpenStreetMap. The ability to make things better. Many maps are static in nature, particularly maps using traditional methodology. These maps are difficult to send, difficult to change because there are only certain individuals that can change those maps. These are the limitations with those maps that makes those maps static. There is a road on the map, and the map is still showing the road but on the ground, the road is closed. Unfortunately, you cannot change the map without going through a whole long process. These are not the kind of maps people are looking for. People are looking for maps that are more current, gives you updated information as of today. In OpenStreetMap you can make changes. You can improve it. And driving, if I find that this particular segment of the road is closed, I can immediately change it on OpenStreetMap so that other people know that road is closed. OpenStreetMap is a living map, a growing map, a dynamic map. A map that has opportunity to reflect the current situations on the ground. What would you say to people who are concerned about the accuracy of citizen science? There are two things that we need to think before we begin to discuss about “citizen science” versus “expert science.” The belief system. Your belief about knowledge, your belief about information. There are certain individuals who believe that only experts know things. Knowledge is never final; it's changing, it's improving. It's growing with new discovery, new learning. We also need to think about life experience. We're constantly learning, not just through books, through lessons, but also through our lived experience. And every citizen, farmers, sportsmen and woman and drivers, everybody has knowledge in certain things. So citizens draw knowledge. Particularly, local people know local situations much better than the government. And those citizens who are living there for years and years, they're experts in a way. They're not just citizens, they're experts about their community. So I believe that we've not been able to tap that knowledge, we've not been able to harness that knowledge. The knowledge of only a handful of people is being used. We need to be able to collect intelligence, knowledge, information from large numbers of people. Collect that and we can solve big problems. How does the status of the map compare between developing countries and the US? Many people take for granted that the maps are available for all cities in the world, which is not the case. I was in the US for five years and in Canada for a year. So I did have opportunity to live in big cities, travel in big cities and it was almost impossible to travel without maps. I was used to using maps. But when I came back to Nepal...it didn't work. In the US, you do have pretty good map. People use that map while they're traveling, but that's not the case in Nepal. If you look at Kathmandu, the navigation is a nightmare because our addressing system is no good. We don't have those numbers, sometimes you spend hours to reach your destination. That's not good. That's an inefficient society. Why was OpenStreetMap so important after the disaster? Would you say having these kinds of maps can literally be a matter of life and death? Maps are important in disaster situations. Maps are also important in normal situations! Imagine a disaster situation where you have to provide relief materials, you have to respond to the disaster and these things have to be done in a very short period of time to save lives. Imagine you don't have maps. You have to bring somebody to hospital and you are counting every minute. Navigation is super important. A map just helps you navigate more efficiently to your destination. And that is particularly true in case of disaster because every minute is important after disaster. Your ability to communicate, your ability to mobilize your resources. Anything that helps you to do things fast is important. Having a good map or not having a map in certain situation makes a huge difference to the lives of people, to suffering, the protection of the properties. You're talking about time, you know. Nama explains how to use OpenStreetMap tools during a Mapathon, a mapping marathon. What is the role of HOT (Humanitarian OpenStreetMap Team)? I currently serve as Board of Director to HOT. What HOT does after a major disaster is what we call “activation.” So it activates the community and in a way guides the mappers to map certain areas. It has been doing a wonderful job of bringing together remote mappers scattered all over the world. I think the growth of HOT is important for Nepal and also for other countries. Because imagine something happens, you're hit by an earthquake, you're hit by a disaster. You need people to begin mapping and having a loose network of people to bring from across the world is important. That's exactly what HOT has been doing and I think that HOT should continue to do that. What kinds of people get involved with OpenStreetMap? When I talk about the involvement of people in Nepal, it’s mostly young people who hang around with this technology. They like to spend time with the internet, play with mobile phones. These are the kinds of people who take part in OpenStreetMap. But there are also other people that are in that group. The nonprofit organizations have also started mapping in OpenStreetMap because some of those companies have been producing what we call social maps in the past. They didn't have a platform to share that information with a wider group of people. OpenStreetMap is a cool platform that we can use to share information we have and also information that other people produce. A lot of people who are participating in OpenStreetMap take it as fun. If this is work, then probably they would not be so excited. They participate in OpenStreetMap because it's fun, it gives you a whole lot of freedom to map whatever you want. So you're not asked to map a certain village or city, you're not asked to map certain things. That freedom is something that people love. Humans are creative, they enjoy freedom, they also enjoy what I call 'pleasure of creation'; you create map. There was nothing on the map, but now I put something and it suddenly appears. It's pleasure, it's fun, it's freedom, it's important. 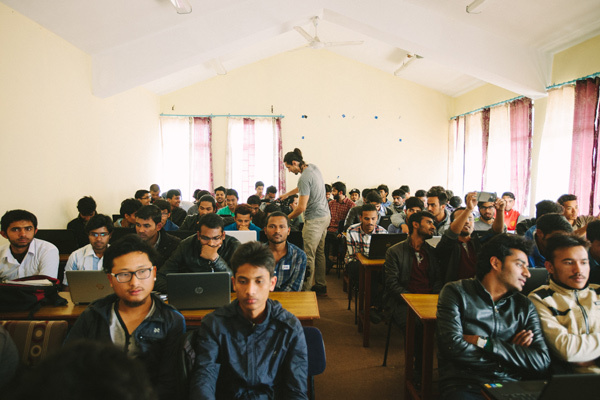 The atmosphere is casual at the Kathmandu mapathon. What is a mapathon and what's the atmosphere of a mapathon like? A mapathon is a face-to-face gathering of people. Basically everybody is mapping a city, but they haven't met before and this is an opportunity to meet fellow mappers, interact, learn from each other, share experiences, etc. Typically you spend 3-4 hours, people generating their own data and somebody instructs on OpenStreetMap. There is not a very fixed set of guidelines. It's basically a loose event, not very formal. We want to distinguish it from regular work! It's an opportunity for people to enjoy their freedom and make more friends. Of course, there is mapping at the core, but a lot of other things. We tell people: just map it. Mapping in OpenStreetMap is pretty straightforward. What you need to do is log into the system, map things you're interested to map, then send it and logout. The information becomes available to you and other people immediately. What happens in traditional trainings, they spend a lot of time talking. Just talk talk talk. What we want is filling up the white space. For that, we have to actually do things, you know, get things done. That's why we say, "just map it." I like that and people like that. What is the responsibility of citizens for community data collecting for the greater good? Citizens have a huge responsibility in contributing whatever they know for the social good. The mapping is an example. If they know a local road is blocked in their community, it is their responsibility to report it because that information could save lives. If somebody is coming by ambulance to the hospital, your information might save their life. I would think that's a basic responsibility as a human. If your information can help other people and save lives, you should do that. We should create platform for citizens where they can take part in that. I think one thing that the government should be doing is creating that platform, facilitating that process, creating a framework where citizens can then participate, contribute, work with other people, co-create. That is where I see a very fertile opportunity where governments and citizens can work together to make things better, solve big and challenging problems. Governments alone cannot solve the problems we have in the world today. One most important thing that we should be doing is identify what are the things that government should be doing, what are the things that citizens should be doing, and then create a framework how we can work together. Humans do have a desire to help others. That desire exists there. The question is how can we activate that intrinsic motivation that humans have, the desire to do good things, the desire to make difference in the world? To me, that already exists in the society; through some of these emerging tools, digital technology, this is helping the people to realize that and to implement some of these things. 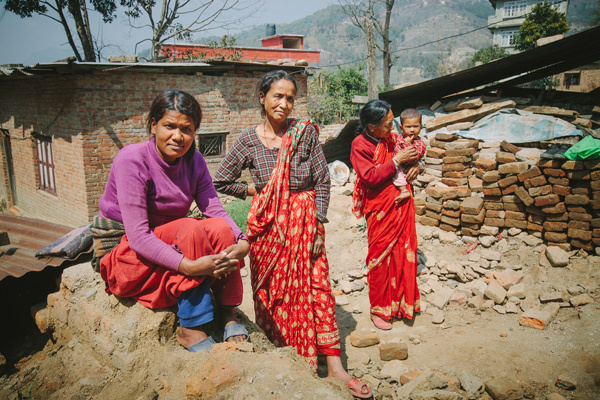 Do you think the people of Nepal have changed since the earthquake? Those who survived, they started to think they have to help other people. You know it was unbelievable. It's a resilient little society, they don't get panicked when a disaster happens. But I saw that people were more united. They were participating in more collective action. The act to help others was better after the earthquake. Even the political parties united, we didn't have constitution before, but political parties realized that well, now we have to work. Sometimes when you have a crisis that also brings people together to unite. People of Nepal are welcoming to people from other part of the world. They enjoy having conversation with other people and they're easygoing. We do have a culture: the guest is what they call God. That's a tradition, actually. And we saw that clearly after the earthquake when Nepalese from Kathmandu went to villages to help others; they didn't have shelter, they didn't have food, but they wanted to make sure that responders who were going to help them had the food first, had the shelter first. What would you say to the international community who have helped with mapping? Right after the earthquake, my team was heavily involved in mapping. But many people outside Nepal inspired us tremendously. They said, "Nama, what you are doing in Nepal is important, we are here. We want to help you. Let us know. How can I help you?" I suddenly got energy, it's not just me. Although I haven't met them, they are with me. They're helping us. They are part of the same project. They are working collaboratively. That feeling was very important, you know. Think how deeply connected we are. It's not a question of a national boundary. I'm Nepalese, you're American, Indian, Chinese, Japanese, doesn't matter. We work together. And that's possible now, particularly because of the technology. Do you have high hopes for the future? I'm fully convinced that this phenomenon of open mapping, open source, citizen science, the collective actions in part of citizens will continue to grow. It has reached, it has passed that human intrinsic feeling that as a human I should be doing things. Humans want to see good things. I think that this emerging technology does that. And then I see these things growing. I'm very hopeful and will be able to see more amazing things in the future. Of course we have to work, things don't just happen. We have to work together, you know. It's not just Nepal or the US, but in all of the countries. Citizens from all over the world, they should continue to extend these experiences, learn from each other. Government will continue to do that in their own way, which is fine, but citizens would also continue to do that in their own way. I'm very optimistic that will continue to happen. I honestly see this growing and we can contribute in a major way to transform our world. That's what I think.